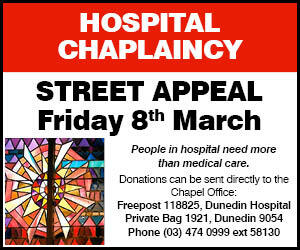 Collectors will be out on March 8 for the annual Dunedin Hospital Chaplaincy Street Appeal. 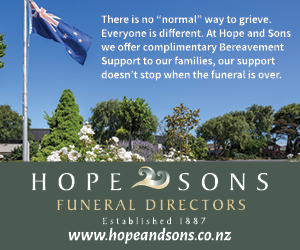 The appeal will take place in Dunedin, Mosgiel and Port Chalmers between 9am and 5pm and is one of the main connections the hospital chaplaincy has with the wider public during the year. 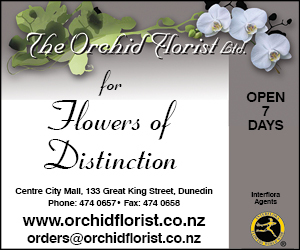 The fundraiser provided an important financial boost for the trust, and Dunedin people gave $9777 during the street appeal last year, trust administrator and fundraiser Frances O’Connell said. In addition to government grants, the trust needed to raise extra funds to cover the shortfall, an aim which the appeal went ‘‘a long way’’ towards fulfilling. Collectors would be based at more than 20 sites around the city, and while a good number of people were signed up to help, Ms O’Connell was seeking other volunteers to collect on the day. She said the street appeal was more than just a fundraiser for the trust. ‘‘The appeal allows us to connect with the general public and helps us to raise our profile in the community. 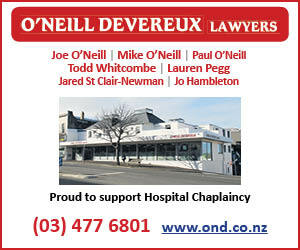 The chaplaincy team at Dunedin Hospital includes four Ecumenical chaplains, a Maori chaplain and a Catholic chaplain and nine voluntary chaplaincy assistants, as well as other volunteers who play the organ at Sunday services, hostesses who invite patients to chapel services and other church and community groups who help take patients in beds and wheelchairs to and from services. Ms O’Connell said any volunteers wanting to help out in the appeal would be much appreciated, as would any volunteer hostesses and organists, who are a vital part of the chaplaincy team. 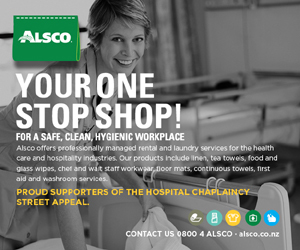 Next Friday, March 8, volunteer collectors will be on the streets of Dunedin and Mosgiel, giving the community the opportunity to support hospital chaplaincy at Dunedin and Wakari Hospitals. 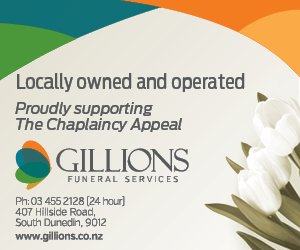 "The local chaplaincy support trust has a major fundraising role to ensure chaplaincy services are available to patients, family/whanau and staff. " 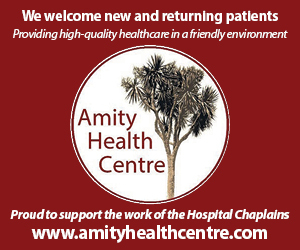 Many will have experienced the support and comfort of a visit from one of the chaplaincy team while in hospital care, or been spiritually strengthened and refreshed through that ministry. Chaplaincy services in hospitals throughout New Zealand are provided through a partnership of participating churches working through the Interchurch Council for Hospital Chaplaincy (ICHC) under contract to the Ministry of Health. 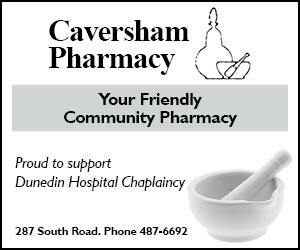 Some funding is provided through district health boards and Dunedin Hospital’s chaplaincy service is truly grateful for that, but there is a shortfall in that funding. 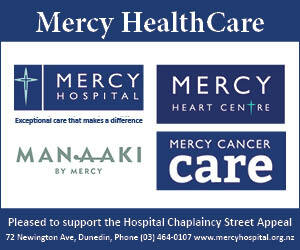 The local chaplaincy support trust has a major fundraising role to ensure chaplaincy services are available to patients, family/whanau and staff. Grants from various funding organisations, local churches and individuals help to bridge that funding gap so the trust is able to cover salaries and expenses of the chaplains, voluntary chaplaincy assistants and locum chaplains. The annual Chaplaincy Street Appeal is an important part of that fundraising effort. As a health professional with some decades of experience in providing medical care and in teaching young aspiring doctors, I note the increasing emphasis on provision of holistic care, care for the whole person and not just the disordered or damaged body or function. People in hospital need more than medical care, and chaplaincy helps fill that need. This is an opportunity for you to support chaplaincy in this important component of healing.